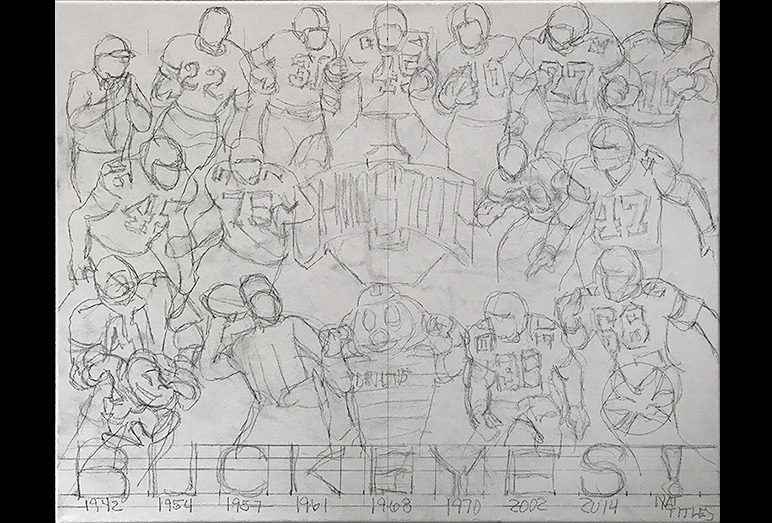 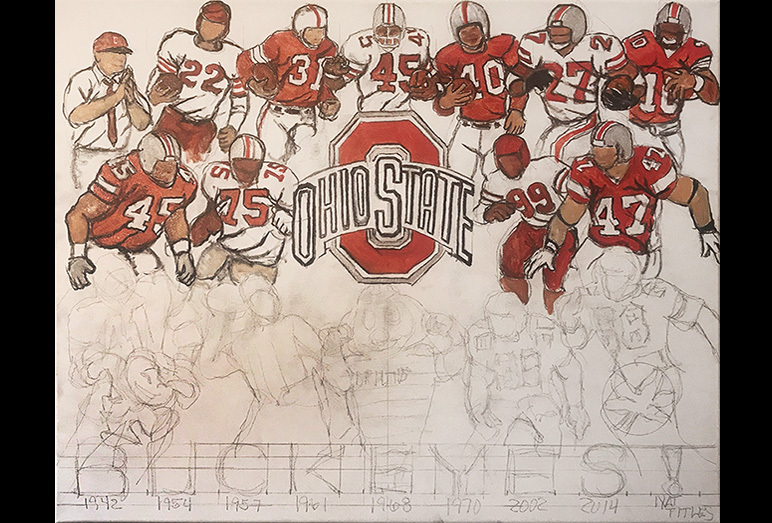 Ohio State Buckeyes Tribute -- Painting Progression -- Use controls to view all images. 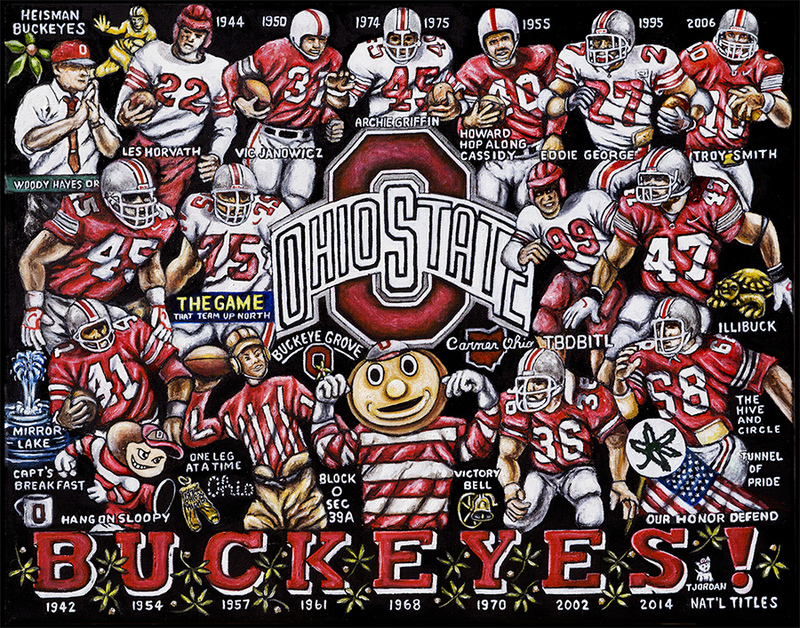 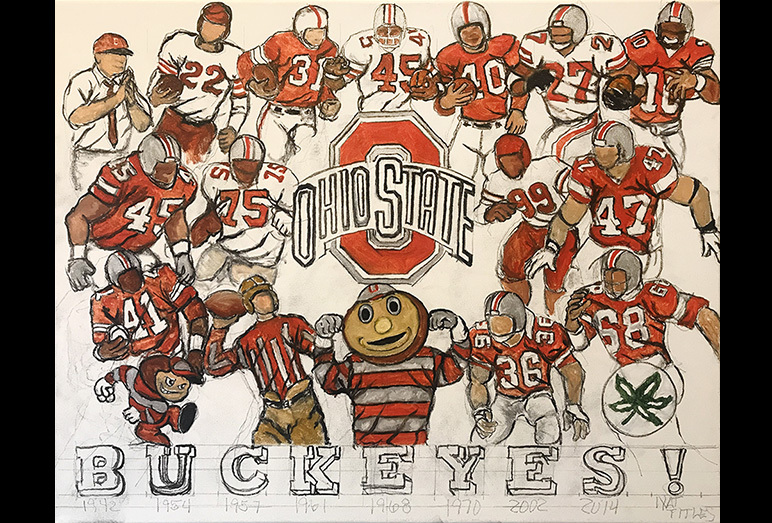 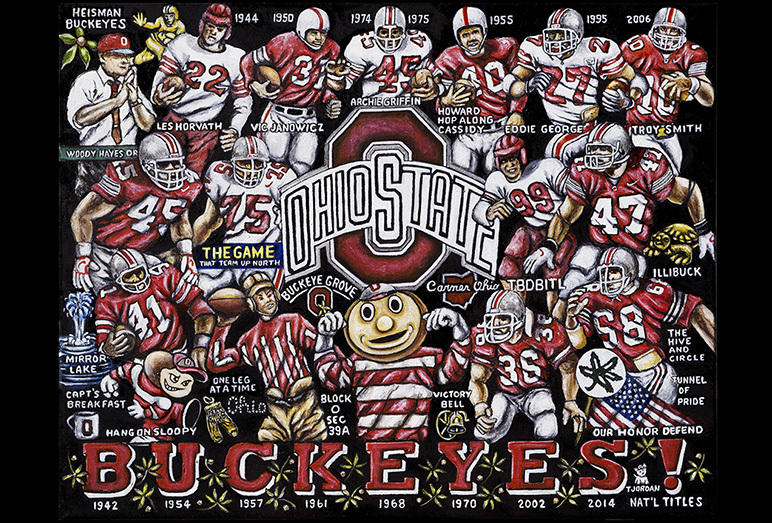 Tom has completed work on a Ohio State Buckeyes Tribute painting, celebrating the Buckeyes eight national championships along with 38 conference championships, six division championships, 10 undefeated seasons, and six perfect seasons of having no losses or ties. 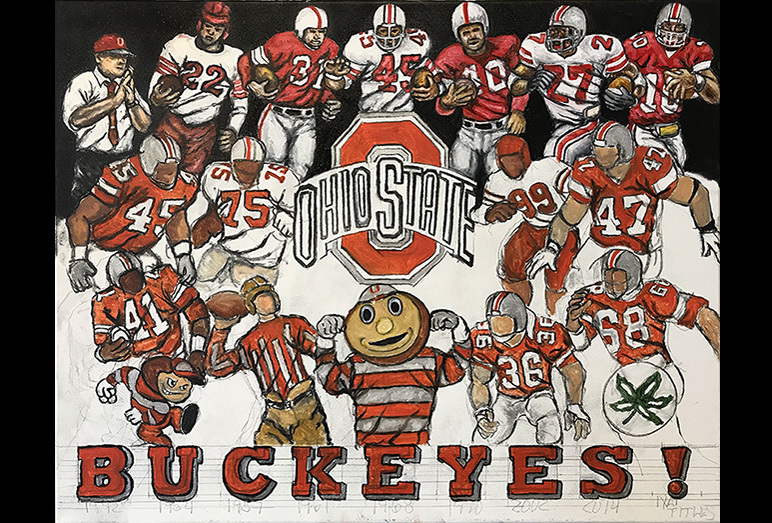 The Buckeyes play in the East Division of the Big Ten Conference and has played their home games at Ohio Stadium in Columbus, Ohio since 1922. 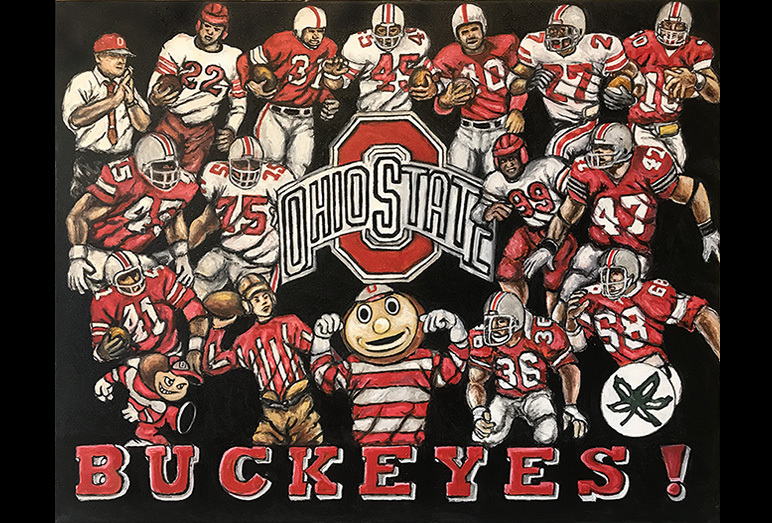 Enjoy this tribute to one of college football's perennial powerhouse teams.